The Tesla™ Generator Set Interface is a power distribution box. 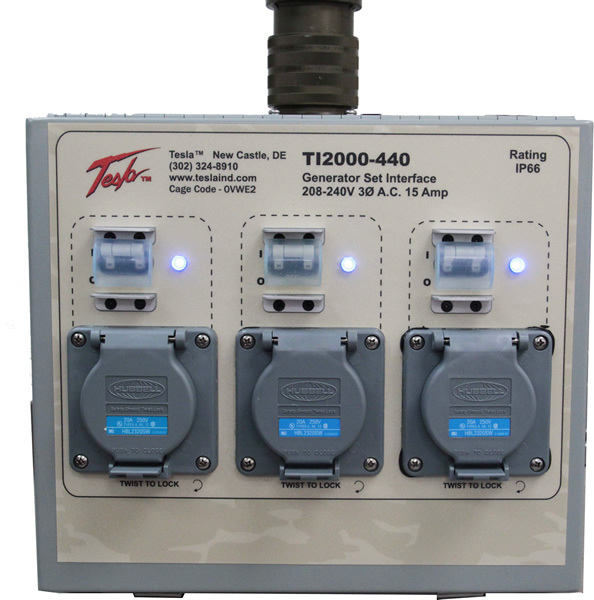 This unit is man-portable, maintenance free, and can be operated from any three phase power source. Designed for military applications, it is easily transported. IP66 rating provides total dust ingress and protection from high pressure water jets from any direction.